As of today, this blog has a podcast! I stayed up super-late recording a first episode which is all Replacements music. I’m using an all-new podcasting setup, so it’s not as polished as I’d like, but the sound quality is better than what I’ve done in the past. Enjoy. 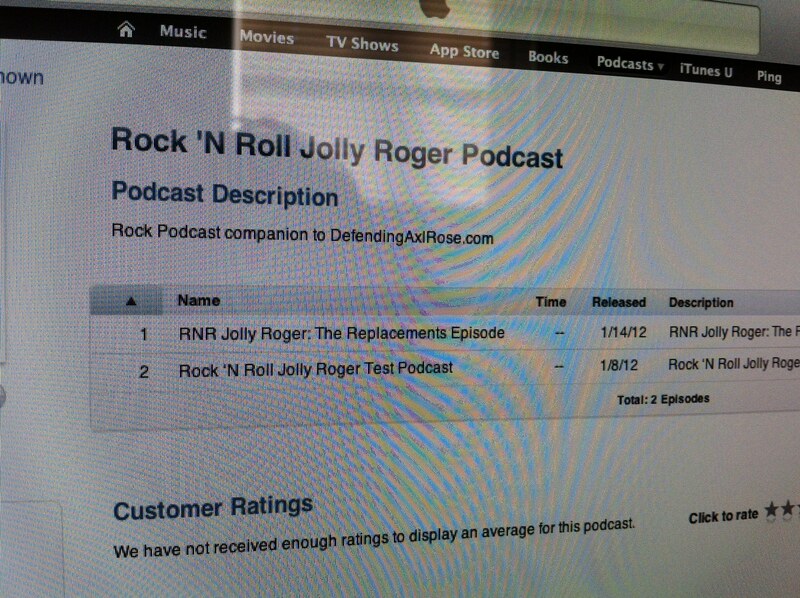 To subscribe, go to iTunes and search “Rock ‘n Roll Jolly Roger Podcast.” Huzzah.